I love the beach in winter. 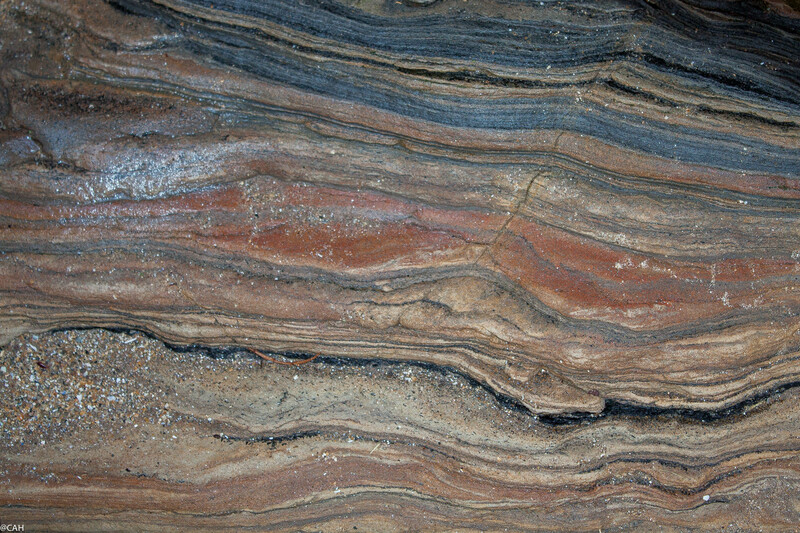 Quieter and winter storms have often thrown up interesting things for beachcombers. One year we found dozens of starfishes on a beach after a storm. 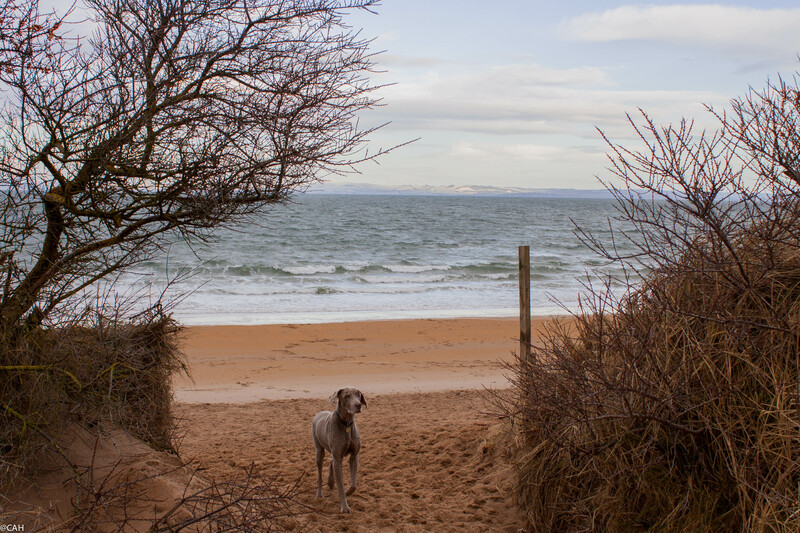 We have the choice of seven beaches between Edinburgh and North Berwick but James’s choice today was Gullane Bents. In winter, the dog can run free and she enjoyed running around, rolling, sniffing and encountering other dogs. 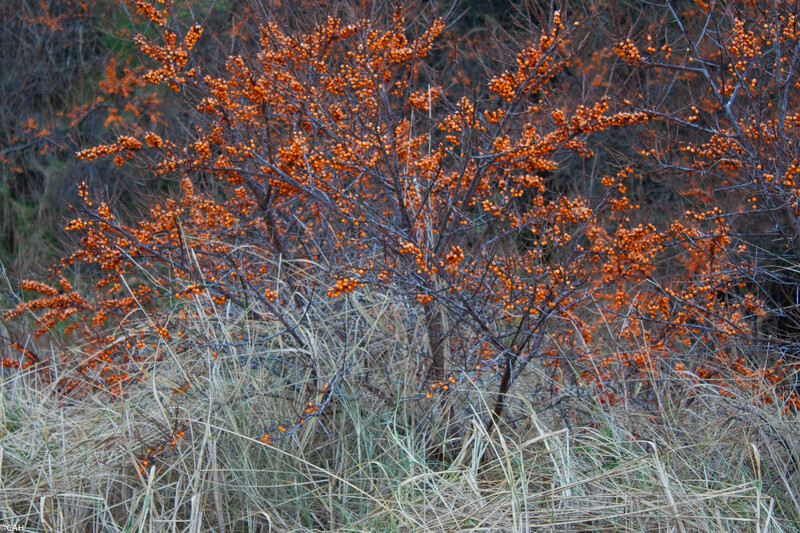 Sea Buckthorn was planted on this coast in the 1970s to try and stabilise the dunes. It is not native to this coast and has become a bit of a pest which now has to be controlled but also provides some shelter for wildlife. I found some more sea glass to add to my collection and spotted these fabulous rock strata which will surely inspire some art later. 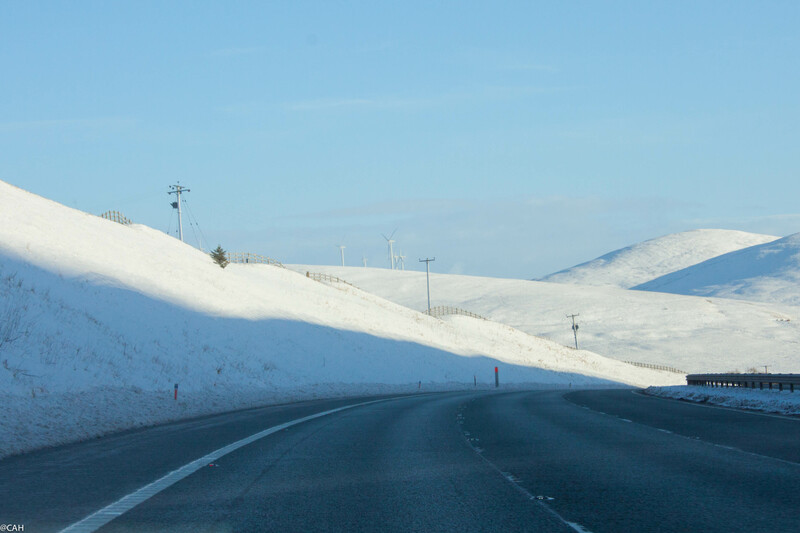 Inevitably it was soon time to head back down south to work but great snow scenes enlivened the route. In the Pentlands, lots of sledging was happening under the winter sun and hill sheep were scraping holes in the snow to find grass. Many a possible photograph passed by which I would have stopped for if we’d had the time. 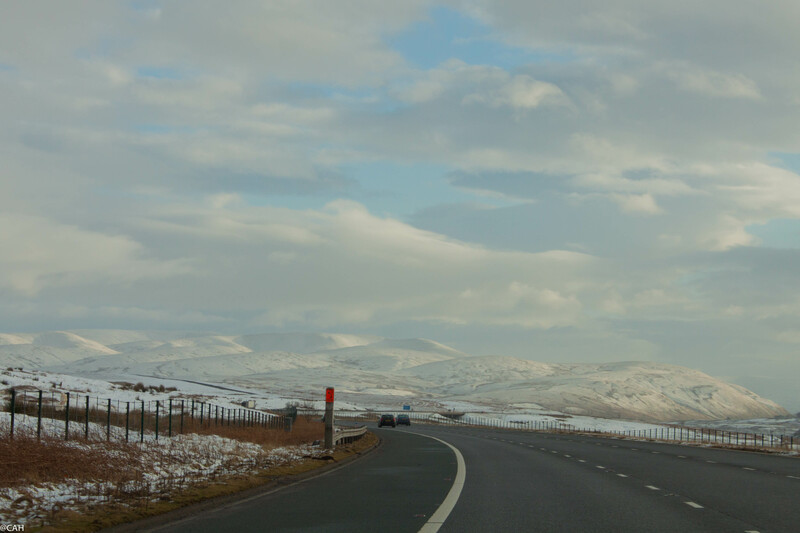 Here are a couple through the windscreen at Beattock on the M74 and Shap on the M6.